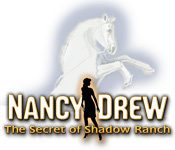 Nancy Drew: Secret of Shadow Ranch is rated 4.0 out of 5 by 67. 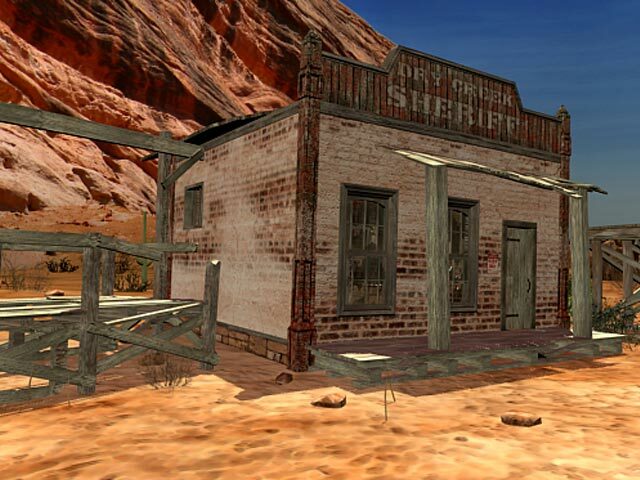 Rated 5 out of 5 by Arthur1775 from Travel to Arizona with Nancy Drew!! Ok, so this was the first Nancy Drew game I ever played... Honestly this was *and still is* one of my MOST favorite. It is so realistic. The Arizona setting is awesome. The story line is top notch... My favorite part of this game is, one the suspense at the end and two riding trusty ol' Bob. I was super suprized that Dave had a crush on Nancy.. (cant blame him though) If you like, westerns, a hint of romance, farm life, horses, old ghost towns, and devious cooks... this is your game! ENJOY!! Rated 5 out of 5 by TraeTrae from One of my personal favorites!! Let me start by saying that I was excited and a little hesitant to play this game. I absolutely love horses and ride in real life so although I love Nancy Drew games I know I get aggravated very easily if the horsey info in anything is just plain (I didn't go through the time to find even one fact about horses) wrong. This game was perfect. 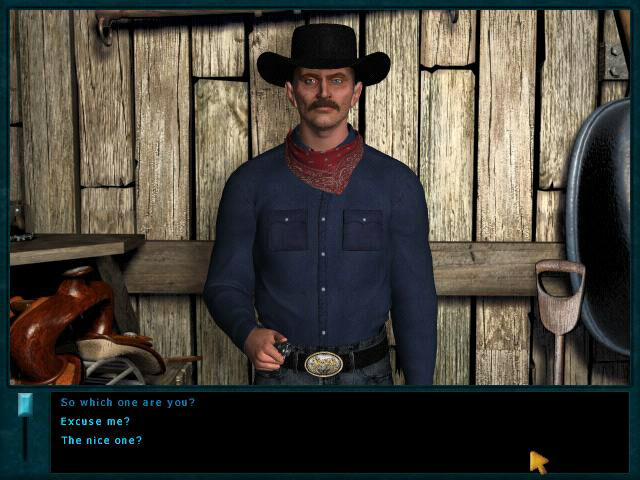 It had a nice western feel to it the information given in the game was great and the chores were fun. I thought the story was great and there was so much to look at and do that I never got bored. Since the first time, I've played it about 3 or 4 more times. Rated 5 out of 5 by horsecrazy101 from love it love this game.this game is fun has great graphics and is total addicting.the level of challenge is very excellent it is tricky but so fun i have gotten to the riding horse part. Rated 5 out of 5 by animal100 from cool this game is pretty cool, but it wont let me play it for very long. Besides that i think its excellent. Rated 5 out of 5 by Shelly718 from HORSEBACK RIDING! GHOST TOWNS! PETROGLYPHS! This is my very first Nancy Drew game and I just love it. I've finally graduated from HOG's to large file and will never be able to go back. 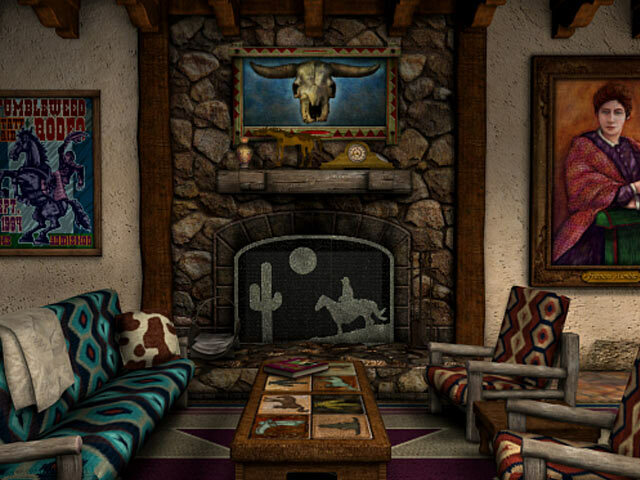 Shadow Ranch is a perfect combination of fun, mystery and challenge. Lots of fun mini-games, plenty of people to talk to and a great notebook with task list. (I played as a junior detective). Loved having my own phone (with Web search capability) and getting hints from various characters throughout the game. There's a nice steady pace to the game, great graphics and interesting characters who add richness and dimension to the storyline. Rated 5 out of 5 by petit99 from Nancy Drew games are very different than the Usual Here i have all the ND's. bought them from their site for $20. the special today is awesome! i actually like the older ones better, newer ones seem to lack something. this is not a hidden object game. it's a very different adventure game - more like a who dunit. so try the demo cos it's not for everyone. it does take a lot of reading and thinking but you can always phone someone, check out your objectives, and read your list of suspects and question them. yes, lots of questioning and going back to question again! my favorite is Danger on Deception Island but it's not available here. try the demo first! Rated 5 out of 5 by Mimla from Passed a few hours Enjoyed this Nancy Drew game a lot. Just the right level of brain teasing for me. One of the better ones! Rated 5 out of 5 by kdskstringer from I enjoyed it I really enjoyed the story line and puzzles. I played this with while my kids were sitting next to me at the computer and we all had fun! Rated 5 out of 5 by madonnaearth from I enjoyed this! I loved the look of it the most. While Nancy didn't get to go as many places as I thought she would, it was still easy enough that I could get most of the puzzles done without looking them up. (I think The Haunting of Castle Malloy was much harder in that respect#. I loved finally figuring out how to use the lasso. My favorite part, i think, was solving the canyon hieroglyphs#?) and figuring out the clock puzzles in the living room. Also, Nancy occasionally got sent home in my case. Obey the rules of the ranch in all things!